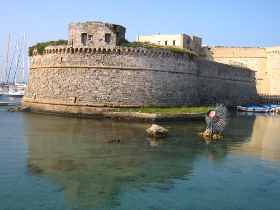 Often, I have to face problems related to Alfresco document management solutions. One in particular concerns the metadata management functionality implemented by Alfresco. In order to better explain this context, we take a look at the following use case. 1. 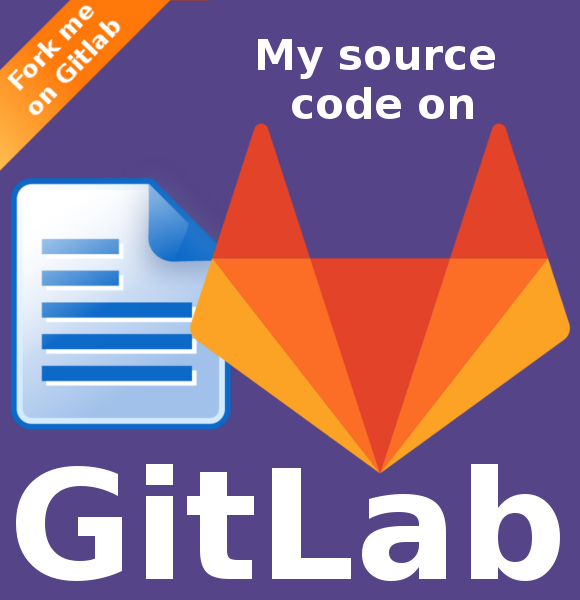 Open the browser, login to Alfresco Explorer and insert a document. 2. 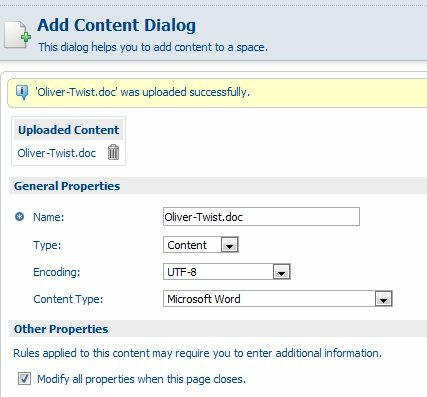 The wizard will show a form where I can submit the name of the document and some other additional properties such as a description, title and the author’s name. 3. At the end of the wizard, Alfresco stored my document and all its meta-information. 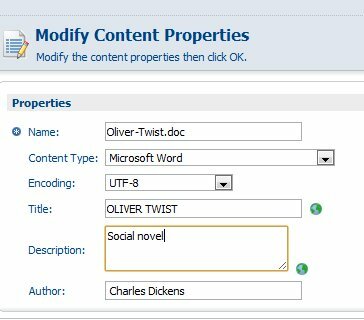 The default Alfresco document properties (title, description, author, etc. . ) are very useful and allow the user to perform advanced filtered searches into the repository (for example you can search the author or the title of a novel). But what happens if the user stores documents related to the company business like invoices or medical records rather then books or novels ? A invoice does not have an “author” property but rather an identification number, a registry reference , a rateable number, and many other meta-data. A very interesting aspect of Alfresco is precisely the possibility of extending its model of data using the “Custom Content Model ” concept. A Content Model is a collection of types and aspects that define a custom template of data into the Alfresco Repository Data Dictionary . 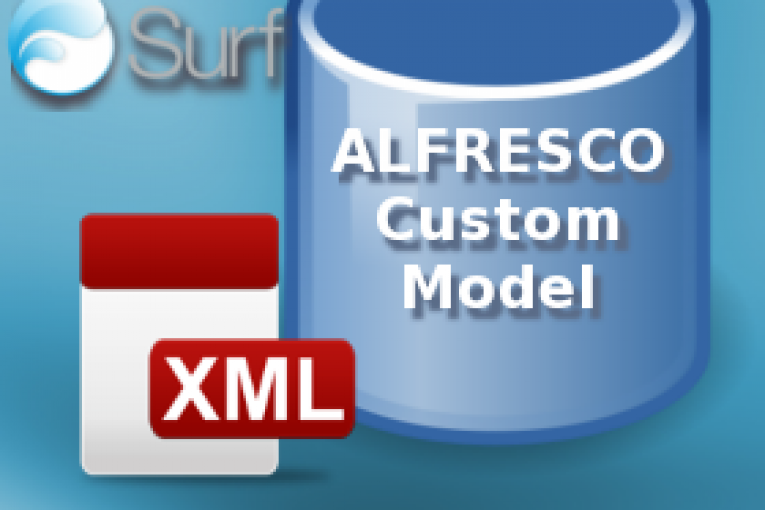 Uploading a well-formed xml file in the Data Dictionary, it is possible to extend the “Base Model” properties of Alfresco adding custom data . Here’s an example. I will not provide a deep explanation of the Content Model, further details and information can be found here. Adamo-core implements the service layer required to produce the interface with Alfresco Repository Data Dictionary. A set of webscripts java-backed allow you to manage the CRUD of the Custom Model. The object com.adamo.service.DataModelService provides access to the content meta-data into the Alfresco Data Dictionary. Follows an extract of its implementation for the creation of a Custom Type. The default response format for the webscript is atom. Here the descriptor createtype.get.desc.xml for the creating of a Custom Type. The java-backed component of the webscript is instead the object org.alfresco.module.adamo.CreateTypeScript. In its implementation, the object CreateTypeScript extends the Alfresco DeclarativeWebScript class.. The serivce layer com.adamo.service.DataModelService stores the meta-data in the Repository Data Dictionary. Here is an excerpt of code. 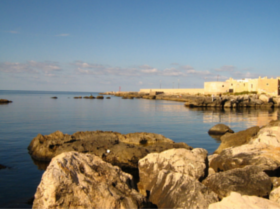 Adamo-surf uses the mechanism of componentized views to define the page layout and makes it available dynamically through a series of webscripts REST calls. 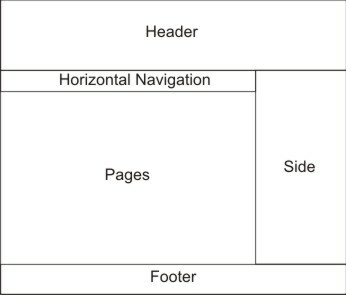 The layout of the web pages looks like this. – The body section containing the list of data, has a scope of type Page and generally holds all web contents that dynamically change (forms, lists, etc). 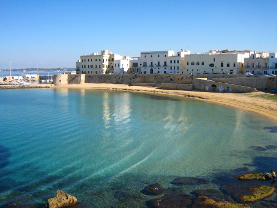 Using the Spring-Surf technology, each view can be achieved through the definition of a XML file. Here are the ones that define the components of the web page shown above.